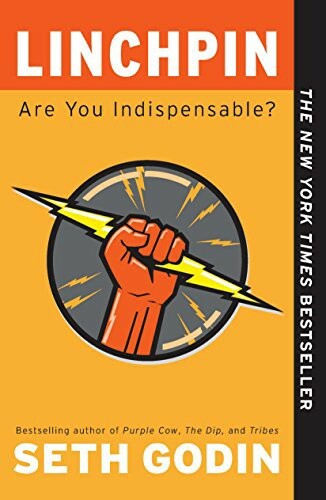 A linchpin is someone who works feverishly to become indispensable, never allows themselves to become a finished product, and embraces change as an opportunity and not a scary threat. Does this describe you? Please, be honest with your self-assessment because your future employment and livelihood depends on you being a linchpin. Our jobs are not going away, but for the slightly above average worker, or any other worker who falls below that standard, the times ahead are going to be tough sledding. This evokes fear in today’s workforce, but not for those employees who Seth Godin calls linchpin’s. According to Godin, a linchpin “feels the fear, acknowledges it, then proceeds”. Embracing the new landscape of our changing business environment, and revamping one’s skill-sets to fit today’s business needs, is a prerequisite for success in today’s economy.